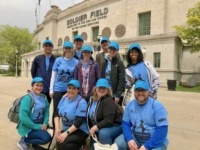 This year’s Bark at the Park at U.S. Cellular Field in Chicago is especially exciting because participants will have the chance to set the GUINNESS WORLD RECORDS™ Title for Most Dogs Attending a Sporting Event! This year’s Bark at the Park event is presented by AvoDerm Natural Pet Foods, Nylabone and PetSmart and will take place on Tuesday, September 13 when the White Sox take on Cleveland at 7:10 p.m. CT.
We know bringing your dog to an event this large can be an intimidating experience, so we reached out to the Chicago White Sox for their recommendations on making your trip easy and enjoyable for both you and your pup. Is there a size limit to the dog guests can bring? We welcome dogs of all sizes! Use good judgement regarding temperament of your pet so that this event will be enjoyable for everyone. Do not bring your dog if he/she is unreliable in crowds or with other dogs. Do not bring a dog whose behavior could be dangerous to others. Do not bring a female dog in heat. Be courteous and responsible. Is there a limit to how many dogs one guest can bring? There is a one dog per household limit, as we want to make sure everyone has the opportunity to enjoy a game with their favorite Fido. Are vaccination records required to attend? In order to receive a dog tickets, fans must complete a special Bark at the Park application. The application includes a request for the dog’s rabies ID tag number and years to ensure they have complete and current vaccinations. Will there be fresh water locations available, or should owners plan on bringing their own bowls? The White Sox provide water stations for dogs. However, fans are welcome to bring their own bowls as well. Will there be any vets on standby at the field in case of an emergency? Veterinarians will be on hand in case of an injury or emergency. What time should guests with dogs plan to arrive? Guests with dogs are invited to join us when the gates to the ballpark open at 5:40 p.m. 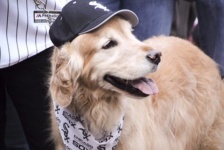 The White Sox advise fans and their Fidos arrive no later than 7:10 p.m. so they don’t miss any of the fun! Is there a specific gate guests with dogs should arrive through? All guests with dogs must enter through Gate 1. What are the leash requirements while inside the field? 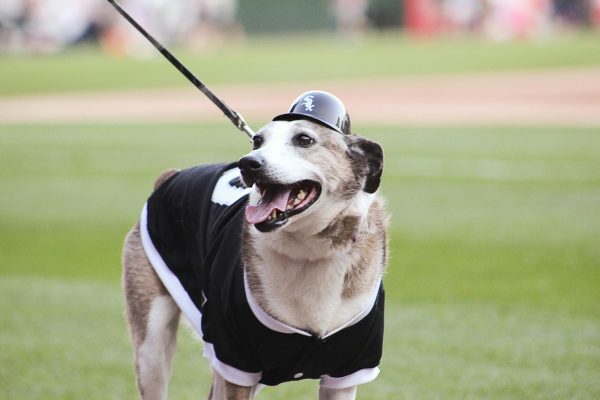 All dogs must be on a leash at all times during their visit to U.S. Cellular Field. Are there specific seating arrangements for guests with dogs? Fans and their four-legged friends enjoy the game from specific rows in the ballpark’s Outfield Bleachers in Sections 100-103 and 159-164. The seating locations are designated by the White Sox Box Office once an application is approved. 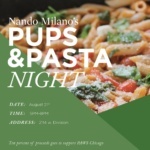 Will any dog specific vendors be attending the event? Including any dog-friendly treats for sale? Bark at the Park sponsors AvoDerm, Nylabone and PetSmart will have dog-friendly treats and tabling at the ballpark. Will there be relief stations available inside the field? Relief stations are located on the outfield concourse. 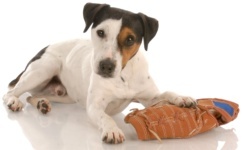 The White Sox ask that fans pick up after their pups. Additional staff also are on site to assist with cleanup. Will doggie White Sox gear be available for purchase? Dog gear is available for purchase as the Chicago Sports Depot, located on the north side of 35th Street adjacent to the ballpark. There also will be giveaways provided by Bark at the Park sponsors AvoDerm, Nylabone and PetSmart. How can guests be sure their dog is counted towards the record attempt? Ensure your dog’s ticket is scanned as you enter the ballpark at Gate 1. Guests and their dogs must be seated in their assigned locations by the end of the second inning to participate in the Guinness World Records attempt. A countdown clock will be featured on the right field videoboard. 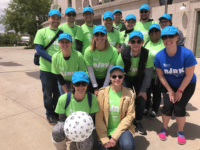 During the ten minute countdown, we will be taking a “group photo.” If we are able to achieve the record, we will send you a digital copy of this photo commemorating your part in this historic event! We hope that you and your pup have fun attending Bark at the Park and helping the White Sox to break the Guinness World Record!